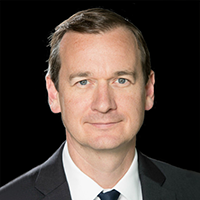 Bret Boyd serves as an advisor to Stratfor in support of key strategy and corporate development initiatives. He is currently CEO at Knoema, a software platform for data access and discovery. At Knoema, Boyd and his team build tools to help public and private-sector organizations make better decisions with data. Boyd also cofounded the Grayline Group an advisory and analytics firm that helps organizations prepare for emerging technological and socioeconomic change. Previously, Boyd built and led the enterprise business unit at Stratfor, where he advised a variety of multinational corporations and investment groups on strategy and international growth issues. Prior to Stratfor, he served as an executive in a venture-backed technology company and helped build the strategy practice for a boutique aerospace consulting firm. Boyd began his career as an infantry officer in the United States Army and served under the U.S. Special Operations Command in the 75th Ranger Regiment. During his military service, he led teams on numerous deployments to both combat and stability operations around the world. Boyd is a graduate of the U.S. Military Academy at West Point, where he studied international relations and systems engineering. Boyd has published numerous articles on technology, strategy and change management and is the coauthor of Catalyst: Leadership and Strategy in a Changing World.